Thank you to all the volunteers at over 20 different events we had over the 2018/2019 season!! These events were a success because of you! Great job everyone! Finished Events for 2018/19 Season: Thank you to all our volunteers!! For every player registered, LMHA requires a Fundraising/Volunteer Commitment of $200 for the first child, $100 for each additional sibling. For the first player registered in a family, you are required to select 2 options from the list below, with each additional sibling needing only 1. Each option is $100 or 4 hours valued at $25/hour. If you are volunteering your time, you must complete 8 hours for the first child and 4 hours for every subsequent child. Please make sure to include childs name, email and a phone # when using signup.com to sign up for volunteer shifts. Events will be locked 1 week prior to the event date. You can not back out after this point. It is YOUR RESPONSIBILITY to find someone to fill your shift if you are unable to make it. Additional events may become available and will be updated and communicated to all members as the season unfolds. Please sign up ASAP as we cannot guarantee that more options will become available. You are responsible to complete you Fundraising/Volunteer Commitments that you choose from the above list. LMHA will email to remind you of these shifts. 1.Board Members of LMHA volunteer commitment counts as 2 Fundraising/Volunteer Commitments. 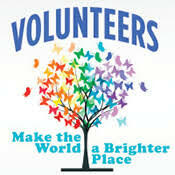 If you are a board member for LMHA, DO NOT sign up for any volunteer commitments. 2. Head Coaches count as all 2 Fundraising/Volunteer Commitments. You must first select your 2 Fundraising/Volunteer Commitments and submit a Coaching Application. If you are selected to Head Coach by the Coach Selection Committee, contact the Administrator admin@lmha.ab.ca to remove your 2 Fundraising/Volunteer Commitments previously selected. 3. Assistant Coaches that LMHA pays to card count for 2 Fundraising/Volunteer Commitments. You must first select your 2 Fundraising/Volunteer Commitments and submit a Coaching Application. If you are selected to Assistant Coach and the Hockey Alberta carding is paid for by LMHA, contact the Administrator admin@lmha.ab.ca to remove your 2 Fundraising/Volunteer Commitments previously selected. 4. Team Managers count as 2 Fundraising/Volunteer Commitments. You must first select your 2 Fundraising/Volunteer Commitments and submit a Manager Application. If you are selected to Manage a team, contact the Administrator admin@lmha.ab.ca to remove your 2 Fundraising/Volunteer Commitments previously selected. 5. Co-Managers count as 1 Fundraising/Volunteer Commitments. You must first select your 2 Fundraising/Volunteer Commitments and submit a Manager Application. If you are selected to Manage a team, contact the Administrator admin@lmha.ab.ca to remove 1 of your Fundraising/Volunteer Commitments previously selected.